Early In The Morning, a gem – right up there with her best work ever! An excellent early album by one of the greatest jazz vocalists of all time! 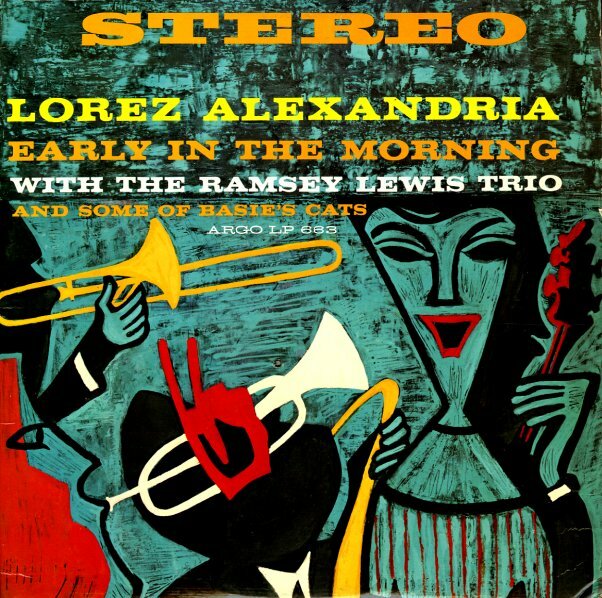 The session's a very hip affair – recorded with the Ramsey Lewis Trio backing her up on one side, and a group led by Frank Foster on another – both playing in a tight soul jazz mode that works perfectly for Lorez's great voice, and which takes her way past the straighter style of the King recordings. Includes a version of Louis Jordan's "Early In The Morning", plus "So Long", "Don't Explain", "Baby Don't You Cry", and "Rocks In My Bed". The groove's very deep, like hearing Lorez in a smoky club on the south side of Chicago! Deep Roots is a perfect summation of her rich talents as a singer! Backing is by a small Chicago trio that includes John Young on piano, Vernel Fournier on drums, and George Eskridge on bass – but the arrangements of the tracks, and Lorez's unique interpretations drive the tunes into territory that's surprisingly advanced for the 1962 date of the session. You'll recognize most of the tunes – but as the old adage goes, it's not the song, but the singer – and you'll hear Lorez crafting a rich tapestry of sound and emotion from titles like "No Moon At All", "I Was A Fool", "Detour Ahead", "Travlin Light", and "I Want To Talk About You". © 1996-2019, Dusty Groove, Inc.